Following the original twelve Scott Adams adventures' individual releases, Adventure International re-released them in Value Packs of three games each, to attract newcomers. 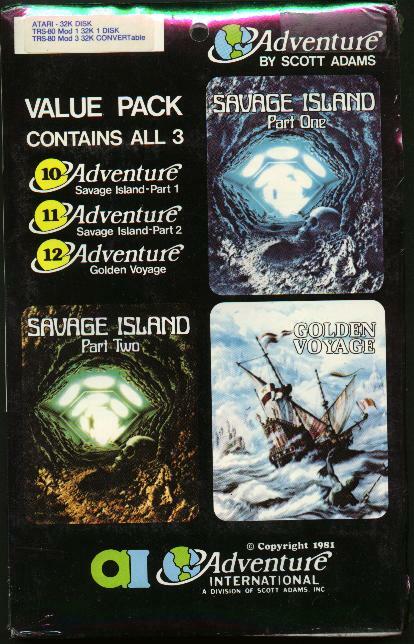 The scan above shows Pack #4, with the two Savage Island games and Golden Voyage, with the later cover art. At least Savage Island, Part I was released with early cover art, and most likely the other two games were as well. The Value Packs were sold briefly, before the graphical versions (S.A.G.A.s) had the games packaged solo again.